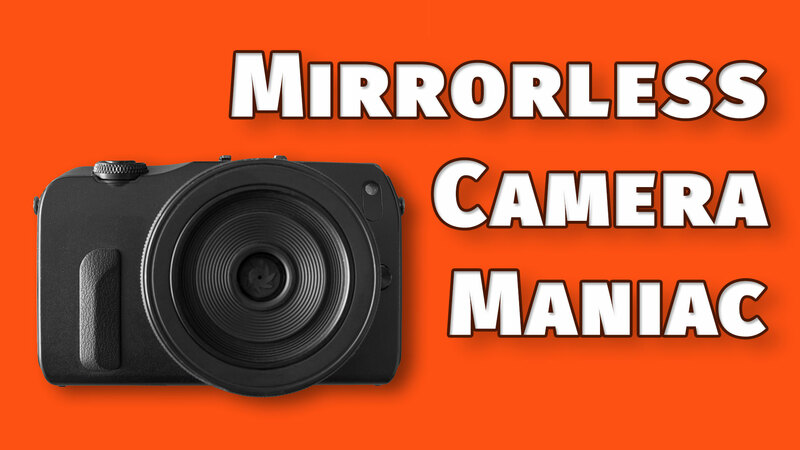 Mirrorless Camera Maniac: Does Form Follow Function? When it comes to Mirrorless cameras, you’ve got two basic styles to choose from. The traditional SLR-shaped camera with a viewfinder in the center of the body, and the rangefinder style, with the viewfinder mounted at the top left corner of the body. Interestingly, you can’t divide the styles up by brand because most of the manufacturers make bodies in both styles. I’m interested in this because with mirrorless cameras there’s the opportunity to start over completely in regards to design. Film cameras required a lens mounted to the camera in front of the film, a place to store unused film, a place to store used film, and way to see through the lens. The entire desire of SLR cameras is based on those needs. DSLR’s carry on the form factor for the sake of nostalgia. Digital mirrorless cameras, however, only require a lens mounted in front of a sensor and a place to store the battery. The viewfinder can be mounted anywhere, and all the buttons can be placed conveniently. What form do you think would actually be best? I use my right eye to photograph, so I favor the corner mounted viewfinder because then my nose isn’t smashed against the back of the camera when I shoot. Left-eyed folks get little benefit from it, however, and center mounted viewfinders just punish everyone. Have you ever seen a twin lens reflex camera? They have a large viewfinder that you look at with both eyes (as you would an LCD screen) but the view downward so you still get a steady shot, not like holding your camera out if front of you at eye level. They also have a pop up single-eye viewfinder. I made this picture of my buddy, Carlos, using his Hasselblad 500. the shutter is the little silver button next to the lens. This is a classic Twin Lens Reflex camera. The shutter button is at the bottom left corner of the picture. Or how about the Hasselblad and Bronica medium format style with the downward facing viewfinder that can be replaced by a prism and single-eye viewfinder? Or, how about a binocular viewfinder so that you can use both eyes to make pictures? My left eye gets tired after I shoot for a while and will actually appear to give me out of focus vision–the optometrist says it’s because I’m squeezing that eye shut so tightly that I’m deforming the surface of my eye, but it recovers within a few minutes each time. It’d be better if I just didn’t get that problem from using a single-eye viewfinder. SLR’s are shaped wide and thin because that’s where the film moved across from the unused section into the used section and then it got spooled back in. Later, when the makers added motor drives and batteries, the right-hand side of the camera became deeper to house those things, and that’s the shape we’re left with for DSLR’s, today, and mirrorless cameras have largely stayed true to that shape, or they’ve gone to the older slim SLR shape, like Olympus and Fuji, or they’ve gone to the slim rangefinder style, like my Lumix GX8. A couple of brands have ignored those shapes in the past. Sony had some very interesting camera shapes a few years ago, and Sigma’s excellent DP0, DP1, DP2, and DP3 cameras went completely against the grain. Instead of changing lenses, you just change cameras and the fixed lens was tuned precisely for that body. But this gets me thinking about the best shape for a camera. The Hasselblad style was very stable, with the shutter release mounted on the side of the body. One trouble now is that photographers easily get excited and plunge down hard on the shutter release which moves the camera and leads toward blurry pictures. What would be a better way to hold and manipulate the camera buttons? My brand new Lumix GH5 arrived the other day, and I love it. But, it’s got the center-mounted viewfinder, so I’m back to smashing my nose against the back of the camera to shoot. I’d love to see a totally innovative shape and layout to a camera. I personally think something between a twin lens reflex and a classic Hasselblad would be the way to go. What do you think? What critiques do you have for the way your camera is designed? I work with a Sony A77 and thinking of buying either the A850 or the A99. For ME these cameras are very ergonomic in use. Has several Nikon and Canon fanatics trying out my camera and they were genuine flabbergasted. In fact if they didn’t have a fortune of Nikon/Canon lenses in their equipment they would certainly go over to the Sony A-range. No exception. …. When the Prius first came out, you had to turn the key just like in a “regular” car, and could even turn it past “on” to be just like starting a “regular” car. I’m sure they did this to make people feel more comfortable with the car. Of course, time passed and now people are comfortable with just having a button to turn the car on. Similarly, it was probably important for camera manufacturers to make things feel familiar at first with digital, buts it’s a shame that they haven’t been like car companies and moved past the old constraints. Part of the problem is that electronic viewfinders/LCD screens aren’t as bright as optic viewfinders, so it works better to shade out ambient light (and so put the viewfinder to your eye). I haven’t used a twin reflex, but my gut feel is that I am more able to hold the camera stable while still being able to turn quickly to react to things by having the camera to my face, rather than down at my waist. An interesting design would be a viewfinder that slides back to allow you not to smash your nose, but would slide forward (flush with the body) so that there aren’t extraneous lumps when putting the camera in a bag. Of course, the most interesting idea would be a detached viewfinder (google glass?) so you could hold the camera however you like but still have the image displayed close to your eye. Levi, I love your thoughts here. I’ve always wondered, what if we started from scratch with no preconceptions of what a camera should look like. I have to believe we could come up with a better design. Taking it to extremes why does the viewfinder have to be attached to the camera. What about a environment like Microsoft’s Hololens where the glasses provide the viewfinder while allowing you to still concentrate on the real world. Hopefully in a smaller package. Why not a form factor similar to what you see with video cameras, where the viewfinder is on a stalk that swivels. Interesting read. I had a Rollicord TLR and it was the nicest camera I ever used-I LOVED looking down into a huge viewfinder. Today I use an Olympus E-P5 and I use the the 3 in LCD viewfinder flipped up-like a Rollie-there’s no EVF. I also use an Oly Pen F-the EVF is to the far left and no nose mushing. Fuji has similar. The Sigma DPO looks rather odd-have never seen/used one. I’d like to see a TLR style camera-EVF for composing and an optical just below it for taking the image-identical to a TLR-never any viewfinder blackout either-square up a full frame sensor or maybe one similar in size to Fuji’s new GFX, still squared and put the LCD flat like a TLR and have a live view 100% of the time-no bells or whistles or blackout-just a pure photo machine. Maybe Rollie will see this article!! Nikon Coolpix 990 (jan 2000): the were really on to somthing. Would love one with updated everything to 2018 technology. Corner EVFs and deep grips are so much easier to use. Without the center hump, the flat top lets you store/carry/retrieve the camera unobstructedly.